Introducing the OM-D E-M1 Mark II, an advanced system of innovative technology and features designed to forever change your photography. Up to 18 frames per second sequential shooting with precision C-AF Tracking. 121 Cross-Type On-Chip Phase Detection AF points. Up to 5.5 shutter speed steps of compensation with powerful in-body image stabilization. Plus a 50MP High-Res Shot Mode. Its all enclosed in a magnesium alloy weatherproof body that weighs a mere 600 grams. Paired with the superior resolution of M.Zuiko PRO lenses, the E-M1 Mark II will deliver brilliant imagery thats coveted by professionals everywhere. Experience sequential shooting speeds that far surpass those of DSLR cameras. Using its advanced silent electronic shutter, the E-M1 Mark II captures 20 MP RAW image files at up to an astonishing 60 fps in S-AF Mode and 18 fps in C-AF Tracking Mode. Or, use the E-M1 Mark IIs high-speed mechanical shutter to shoot full resolution photos at a blazing 15 fps in S-AF Mode, far surpassing other cameras in its class. Thanks to cutting-edge processing speeds, even fast-moving subjects are captured in stunning detail. The high-speed autofocus built into the E-M1 Mark II captures split-second moments with precision and ease. Its Dual FAST AF system boasts an outstanding 121 points of On-Chip Phase Detection plus Contrast Detection AF. Every point of On-Chip Phase Detection is cross-type, facilitating detection of vertical and horizontal lines for superior accuracy. Four AF Target Modes All Point, Single Point, 9-Point Group, and 5-Point Cross can be easily switched with a single button press. Plus, the new Subject Tracking Cluster Display lets you easily focus on moving subjects using the cameras C-AF Tracking. The 20 MP Live MOS Sensor delivers rich gradations and excellent image quality, and its anti-reflective AR Coating reduces flare directly on the sensor. The 50 MP High Res Shot combines 8 shots to generate a single ultra-high res image. With a double quad-core system and dedicated AF calculation circuit, the TruePic VIII Image Processor easily powers the blazing sequential shooting and autofocus speeds. 4K (3840x2160) and C4K (4096x2160) video capture with a max bit rate of up to 237 Mbps is ideal for video production. And in-body 5-Axis Image Stabilization provides up to 5.5 shutter speed steps of compensation for blur-free handheld shooting. Capturing precise moments often proves to be difficult, especially when your subject is in motion. The E-M1 Mark IIs Pro Capture Mode ensures that you catch the exact moment you want without any lag. Pro Capture starts taking and buffering a running series of full resolution JPEG / RAW images as soon as you press the shutter release button halfway. Fully press the shutter button to instantly record an image plus up to 14 previous frames. Keep the shutter button fully depressed to continue shooting. With Pro Captures silent electronic shutter and high speed sequential shooting, youll capture once-in-a-lifetime images in no time. Whether youre taking to the streets, traveling the world, or working in the studio, the E-M1 Mark II is built to keep you capturing great shots without worrying about your gear. It's designed to be compact and lightweight, providing easy handheld shooting with more freedom.The metal body is hermetically sealed to be splashproof, dustproof, and freezeproof down to 14_F (-10_C), so you can take advantage of every photo opportunity. The new high-capacity Li-Ion battery enables more shots on single charge plus requires significantly less charging time. And the dual card slots make it easy to backup and manage your image files. Silent Shutter Mode completely eliminates shutter noise and all electronic sounds, perfect for wildlife, concert halls, or other quiet environments. With the Live Composite and Live Bulb Modes, youll shoot beautiful nighttime compositions as you watch the image build up on the monitor, giving you full freedom of exposure adjustment. For incredible macro shots, Focus Bracketing and Stacking lets you take several photos of a subject and then stack them into a single image with edge-to-edge clarity. 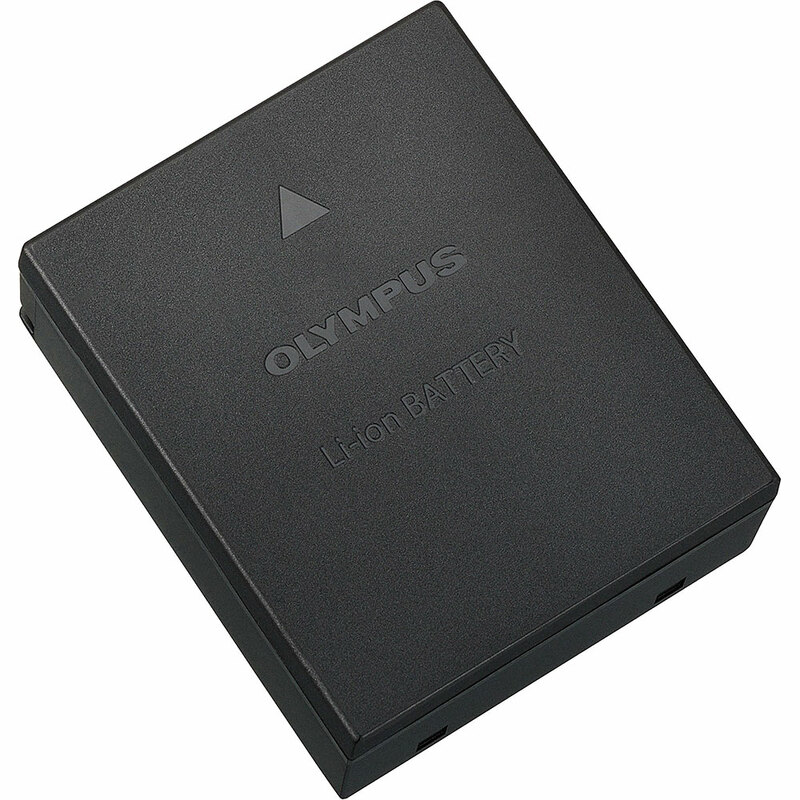 Olympus Capture provides seamless tethered shooting through the USB 3.0 Type C port.